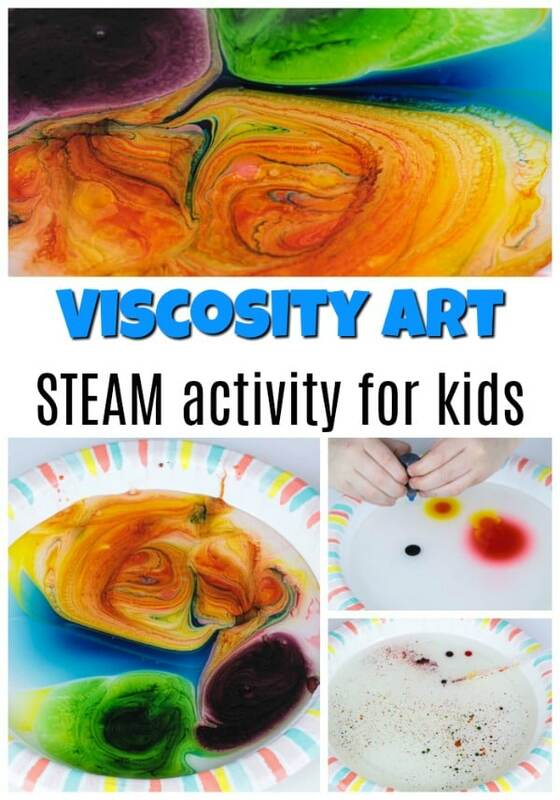 Art and science mix with this fun viscosity art STEAM project! 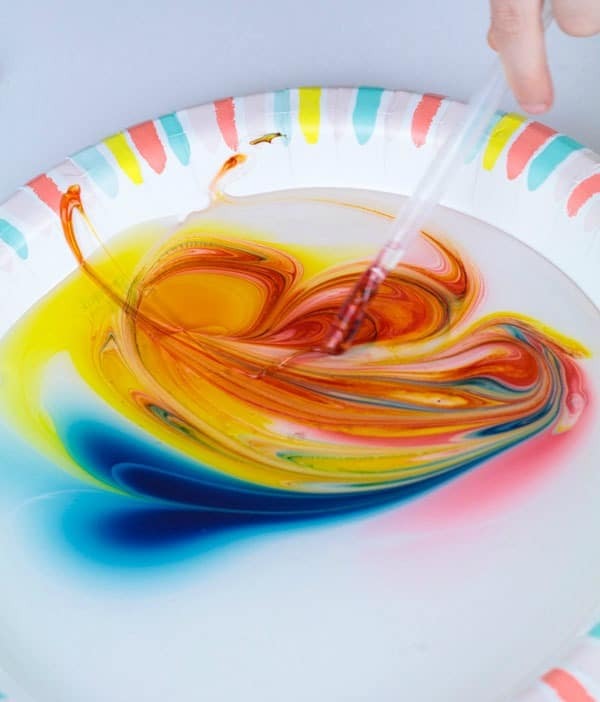 Learn how liquids move differently through liquids with different viscosity and make interesting color-mixing art at the same time. Kids will love doing this project over and over! It's easy enough to set up this engaging activity at home or in a classroom science center. 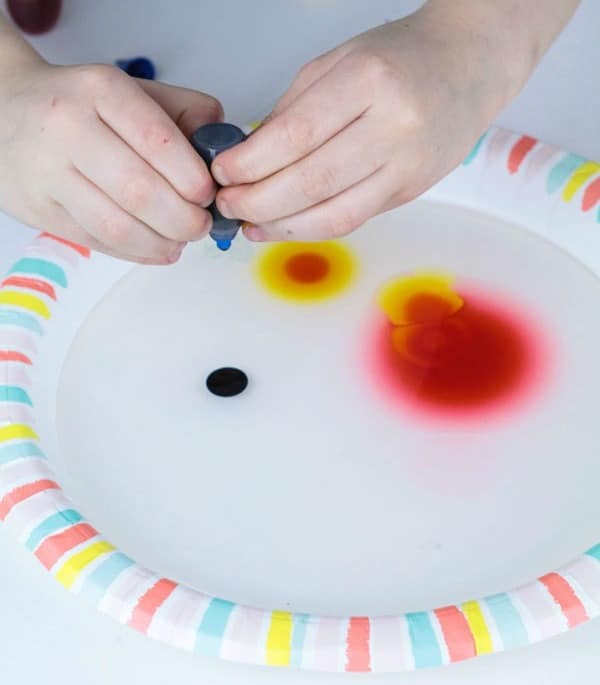 This is a fun project that is also a science experiment for kids. 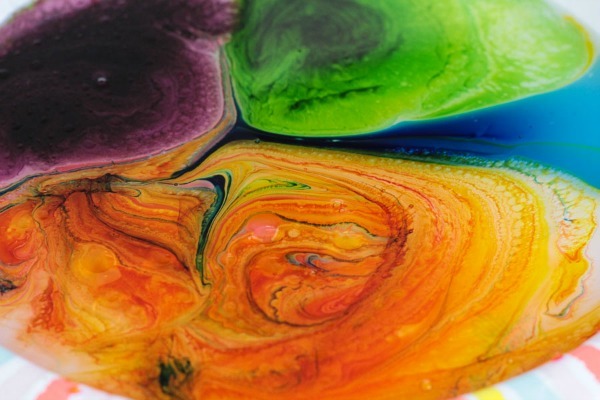 While doing this activity, you can discuss the concept of viscosity. Viscosity is the thickness of a liquid, or how much it resists being poured. A liquid with a thin viscosity, like water, flows easily. A liquid with a higher viscosity is thicker and won't flow as easily, such as honey or corn syrup. Young kids will understand that a liquid that has a higher viscosity, is denser, and it will be heavier and thicker. If you’re doing this project with older kids, you can get into density versus mass and how they are different. This post contains affiliate links. We may earn a small commission if you make a purchase at no extra cost to you. 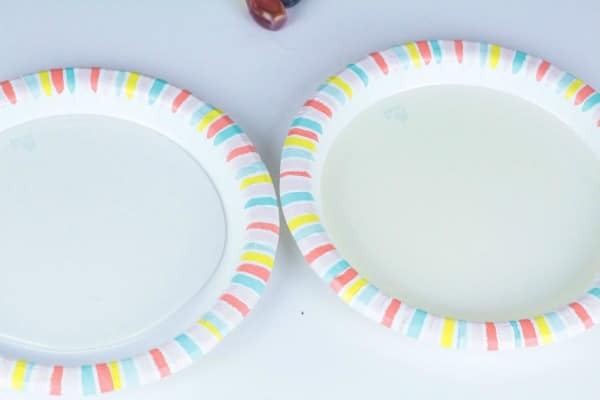 Fill the bottom of each paper plate with either oil, water, or corn syrup. 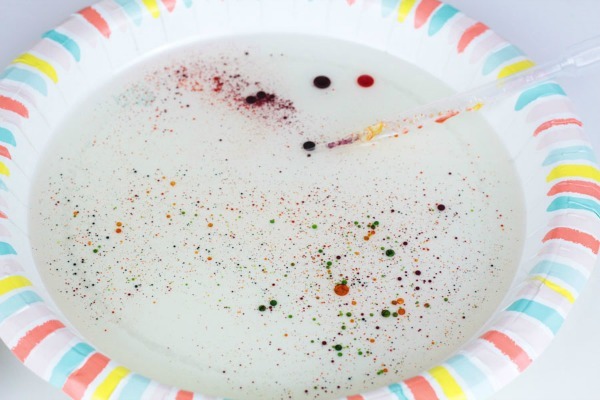 Use pipettes to drop small drops of colored water onto each plate. Watch as the colors spread, or don’t spread, on the plates. 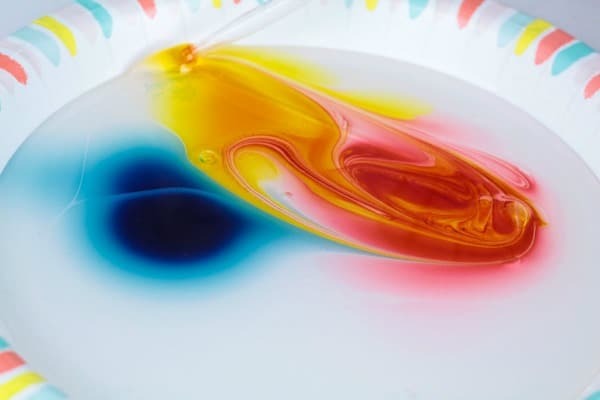 The plate with the oil will not turn colors, because oil and water do not mix. The water plate will mix the fastest, because water is less viscous than corn syrup. And on the corn syrup plate, the colors mix slowly and beautifully, creating color mixing patterns that are bright and colorful. 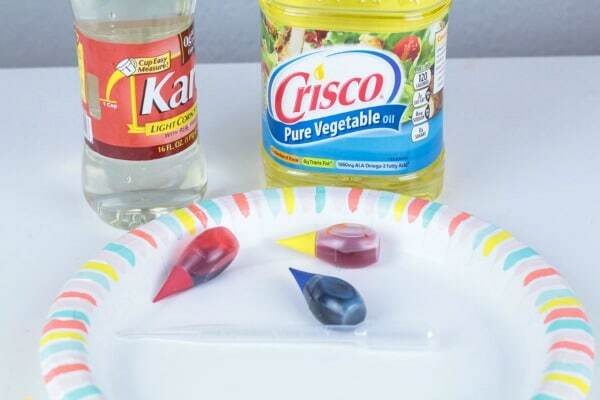 Challenge the kids to see what colors they can make on their corn syrup plate. Use the magnifying glass to get a closer look at the liquids too. How do you think the colors will mix when added to water? Oil? Corn syrup? Which one did not mix? Once you are done, you can take pictures of the results or ask the kids to draw their results. Wow, this is so beautiful. My girl will enjoy doing this! Thanks, Marie! I think it’s a fun and creative way to explore a science experiment.